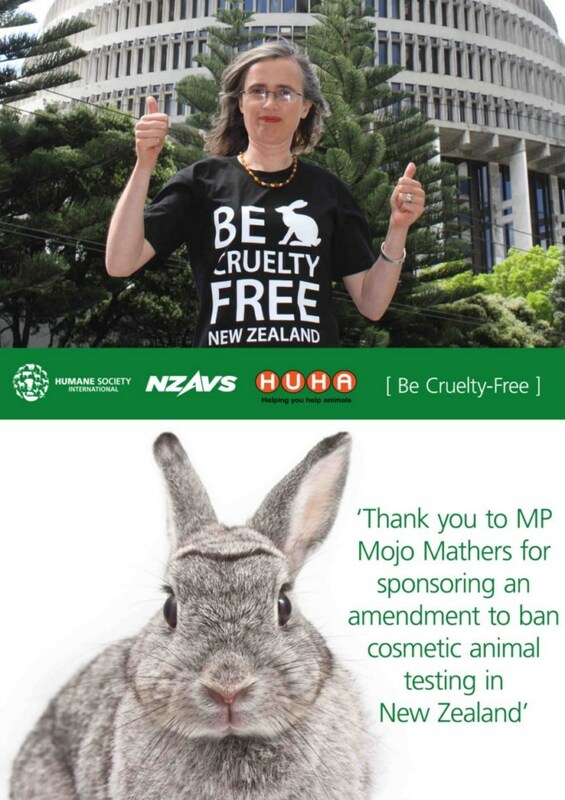 Mojo Mathers introduced an SOP to ban cosmetics animal testing in the Animal Welfare Act last March, however, the select committee did not include the ban in its recommendations to Parliament despite overwhelming public support and backing from New Zealand's cosmetics industry. Send the Party leaders an email by clicking here. If you live in an electorate represented by a National MP email them and ring their electorate office. Email the National MP based nearest your electorate - all MP contact details can be found here. Contact Nathan Guy, the Minister for Primary Industries and tell him directly.